The series which launched in the UK in The Hippodrome Casino in April, attracting over 520 entries, twice the normal field, will now expand its new live tournament series aimed at recreational players to New Jersey from October 6-8, with over $100,000 guaranteed. The U.S. MEGASTACK will debut in the Garden State with the $220 Sunday Special Live at Resorts Casino Hotel, New Jersey. The Sunday Special Live name originates from PokerStarsNJ.com most popular weekly tournament, the Sunday Special, which has the highest guarantee ($50,000) of all the Sunday Majors. PokerStars MEGASTACK events offer a space for players to get comfortable at the tables and hone their skills without breaking the bank. Each event is designed to suit a variety of work/life balances, and keep players entertained over three action-packed days. The series is designed to bring live poker to players’ doorsteps at a low buy-in level, to create an exceptional live poker experience, and to offer players a platform to build their poker career on, towards competing in PokerStars Championship and PokerStars Festival events. These new additions to the series further demonstrate PokerStars’ commitment to growing the game locally and investing in local poker communities. The expansion of the new series ensures players of all levels can experience all the thrills and excitement of a PokerStars-sponsored live event in their own back yard. Further information to come on how to qualify for as little as $0.50 for the Sunday Special Live event. Following the New Jersey Sunday Special Live event, the New Jersey Chapter of Autism Speaks will host the Chip In for Autism live event, in association with PokerStars, at White Eagle Hall in Jersey City on October 21, 2017. The event will honor Kerry Magro and Bill and Michele Sorvino for their dedication and commitment to Autism Speaks. The event will feature a grand cocktail reception, open bar, raffle, poker, and casino style table games. The top poker winners will have the opportunity to win the latest technology products like smartphones, virtual reality devices, smartwatches, tablets and more. To reserve your tickets, please register at autismspeaks.org/chipinnj. Further information on Sunday Special Live New Jersey can be found here and on the PokerStars Blog here. Gaming LLC (d/b/a "Resorts"), which is authorized and regulated by the New Jersey Division of Gaming Enforcement. Play Responsibly! For more information on responsible gaming please visit our website at http://www.pokerstarsnj.com/about/responsible-gaming/. 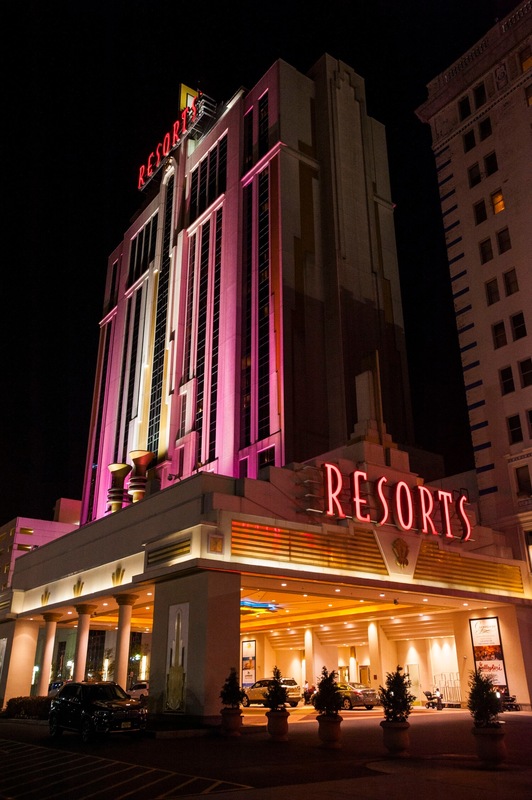 The resort that brought gaming to Atlantic City in 1978, Resorts Casino Hotel is at the top of its game today, offering world-class casino action in a relaxed environment that keeps the focus on fun. Resorts Casino Hotel made history as the first American casino outside of Nevada and celebrated its 35th anniversary in May 2013 with a new milestone: the opening of a $35 million Margaritaville casino and entertainment complex that includes, among other attractions, the only beach bar on the Atlantic City sand. Mohegan Gaming Advisors assumed management of Resorts Casino Hotel in 2012, a move that has set the stage for its return as the most exciting gaming destination in Atlantic City. Boasting a prime location spanning 11 acres at the northern end of the famed Atlantic City Boardwalk, the resort features 942 guest rooms and suites in two hotel towers, an 80,000-square-foot casino, two theaters, six restaurants, two VIP slot and table player lounges, a casino bar, indoor-outdoor swimming pool, health club and spa, salon, and retail shops. Its 64,000 square feet of technologically advanced meeting space includes 24 meeting and function rooms, most featuring natural light and ocean views, and a 13,000-square-foot ballroom. For more information, visit our website or call 1.800.334.6378. Connect with us on Facebook, follow us on Twitter or Instagram and view us on YouTube.